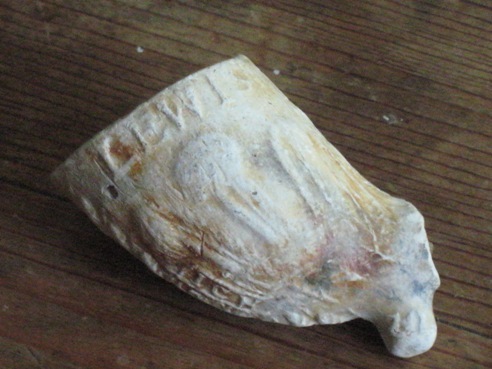 At the recent fieldwork in Rotherhithe, I found a decorated clay pipe bowl. I’ve done a bit of research on it and got an insight into a very small bit of local history. 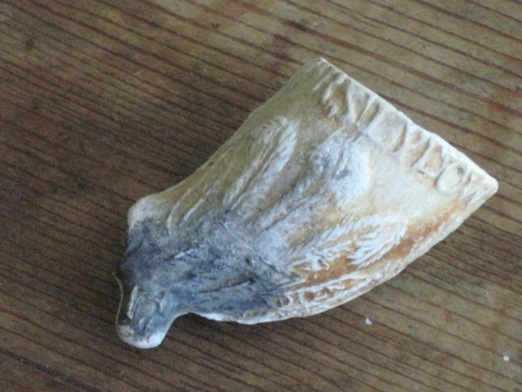 The pipe bowl has the Prince of Wales three feathers and the motto Ich Dien (I serve) on either side of it. Around the top are the word LEWIS and ORSLEYDOW. From the shape of the bowl, you can tell it is from the second half of the 19th century. I also made a guess that ORSLEYDOW is the name Horsleydown, with the first and last letters not having registered properly in the clay, and I knew that Horsleydown was a name, no longer used, for the area of Bermondsey roughly from St Saviour’s Dock along to London Bridge. Looking online, I found what seems likely to be a family of tobacco pipe makers living in the area. The records are for the baptism of their children at St John’s Church, Horsleydown. St John’s was bombed in the Blitz and left unusable. It stood at the corner of Tower Bridge Road and Tooley Street. The churchyard is still there as an open space, and it looks as if the London City Mission was built on its foundations. The son of “John Lewis tobacco pipemaker”, was baptised on 2 June 1816. Then there was “Thomas Lewis pipemaker”, whose daughter was baptised on 1 June 1834. Earlier than these there was a Samuel Lewis at 14 New Street Horsleydown in 1799, but his occupation is not given. 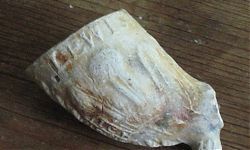 I’d certainly like to think this was a family firm which was still around in the later 19th century to make my pipe bowl. Decorated pipes were often used in advertising and even given away by pubs, and I’d hoped to link this one to a Prince of Wales somewhere locally. Unfortunately there turn out to have been far too many of them in the Bermondsey area! One still exists just north of Jamaica Road, but at one time there were five altogether in Bermondsey and at least one in Rotherhithe, all called the Prince of Wales, two in Abbey Street alone. This tells you a lot about life in industrial and maritime Bermondsey. 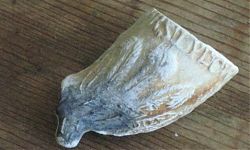 So I can’t tell you if this pipe was linked to a pub or just patriotic, but I thought it was interesting how a small object can be a link into history.